For many the Holy Grail of robotics and AI is the creation of artificial persons: artefacts with equivalent general competencies as humans. Such artefacts would literally be simulations of humans. With the theme of simulation this essay reflects on both the simulation of intelligence and the associated energy costs across three broad and controversial topics: first, how to design (or evolve) human-equivalent AI, second, the prospects of an intelligence explosion once the first has been achieved, and third, simulationism—the idea that we are ourselves simulations in a simulated universe. 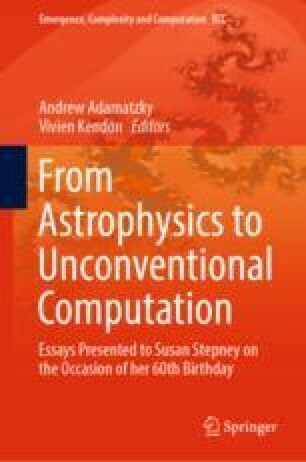 I am deeply grateful to Susan Stepney, not only for many conversations on topics as broad ranging as AI, Complexity, Narrative, Science Fiction and Simulation, but also for the opportunity to participate in several projects, including EPSRC funded Complex Systems Modelling and Simulation (CoSMoS) , and the York Workshops on Narrative and Complexity ; it is these conversations and projects that forced me to really think about simulation.